Are you dying to play free online games? But don’t know which websites provide the best free online games? 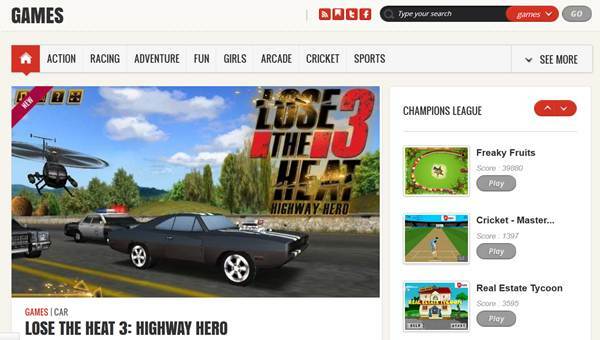 Do you really want to know the five best websites to play free online games? If Yes! So don’t waste much time because I’m going to tell the best of the best website that provide amazing Free games online. Before we start, let me tell you. I’ve spend almost 15 days trying different flash and HTML5 based gaming websites, so that I could provide you the best of it all. Along with that, I’ll also list the top three best free online games from these gaming websites. So shall we start? Ready! Onlinegames.net isn’t the best looking gaming website to play free online games but it does have great collection of games. The website claims to have over 1000 games in total. Onlinegames.net has numerous types of games genres. These game categories include Board games, Car games, Gun games, Kung Fu games, Math games and a massive other 110 categories. Isn’t that great? The gaming website includes lot of great games like Sim Taxi, FMX Team, Dead Zed 2, World Basket Ball and thousand more free online games to boast about. Though most of the games are interesting, it takes an awful lot of loading times. This really can mow down your intensity to play the game. And since I am blogger and I have lot of things to look for. Many times I forget, the game has completed loading. And its only after 10-15 minutes I realize it. Another thing I’d like to talk about is the game’s frame rate/second. I have an AMD A8-3870K with Radeon HD 6550D graphics along with 4GB RAM, which is a top of the line hardware. But even though the game lagged a lot. So I suppose, there must be something wrong with the gaming website itself. I suggest you visit onlinegames.net and try some of the best games yourself. And let me know your thoughts in the comments section. I’ll be waiting. GamesGames.com has a pretty good collection of free online games to play with. I found myself spending a little more time on this gaming website then I intended too. This gaming website has a good and positive feel to it; with its bright and glossy color scheme. You really might want to spend more time on gamesgames.com like me. Gaming categories include Bowling, Makeover, Arcade, Action, Bubble Shooters and 29 other categories. I really found myself getting addicted to Uphill Rush 6 and other games listed below. Let me tell you first www.in.com/games has the fewer games compared to other gaming websites; featured in this list. But quality of games on in.com are worth mentioning. This is reason why the website is featured on 3rd place. It has some of the best free online games to play on the Internet. Even the game categories are very less. Very less compared to other gaming websites. It includes Action, Racing, Adventure, Fun, Girls, Arcade, Cricket and Sports. It also requires Unity Web Player to be installed on your system. If a game needs Unity Web Installer, it will ask permission to download and install. Addictinggames.com is a cool gaming website, which hosts some best free online games to play. 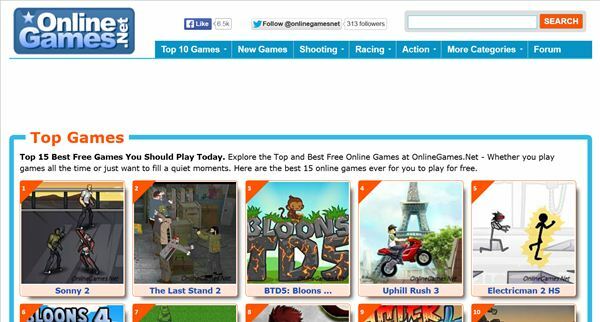 This particular gaming portal is powered by kids TV channel Nickelodeon. Just like other websites, it too has great number of free online games that can be played instantly. Most popular of them all are the stick games. Even I found myself getting addicting to such simple games. Mine favorite game on addictinggames.com is Stickman Badminton. This is the gaming website where all the fun happens. I’ve spend some countless hours on this single website, even more than my own website. 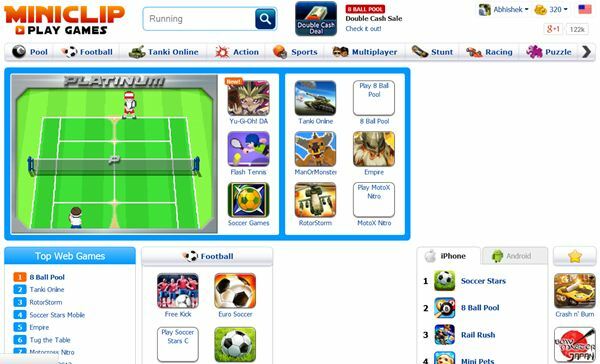 Miniclip.com is the father of online gaming websites and has a lot excellent free online games to play. Miniclip is the oldest flash based online gaming website and is a strong name in the gaming world. What really stands out for miniclip.com are the number of games it hosts and how well managed the website is. I’ve actually spend most time playing Miniclip’s most popular game 8 Ball Pool. To tell the truth, around 50,000 users are active on this one free online game itself. Other game I’ve spend my most time is the Motocross Nitro, which has excellent 3D graphics. But there’s one warning though. 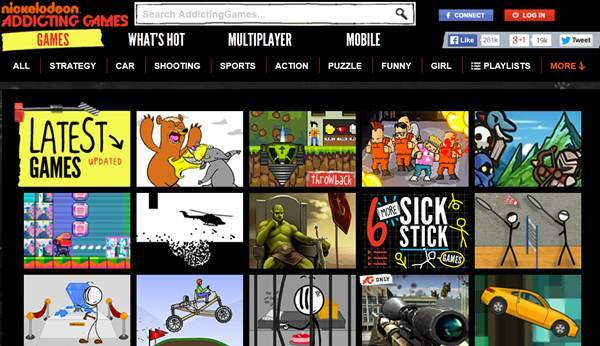 Don’t get yourself addicted to Miniclip.com as it offers an excellent games catalog. 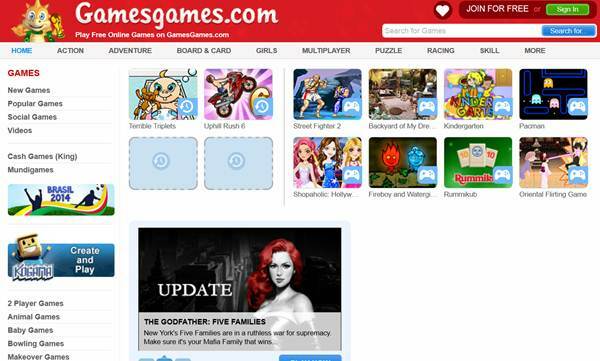 There are lot many other gaming websites to play free online games. But I found these websites to be good if not best. There’s also two other websites I’d like to mention, those are BigFishGames.com and Games2Win.com.Do check these out too. Anyways do let me know in the comments section what you think about this list. I love to hear from you guys. Even take a second and share this article on Facebook, Twitter and Google+ to let your friends know about it. Have a great day folk! Gaming is never my favorite past time. I prefer doing sports and watching movies. However, its good to know of the different websites where one can play online games. Since I am not a gaming aficionado I can still recommend them to friends. Thanks for sharing Abhishek! I am not a game fan too much, but like to have my hands on some while I feel lazy to do anything but watch youtube videos. Flash games are easy and anyone can have their hands on them and be happy. I used to play some games back in old days on site called prizes.com where I was also rewarded for doing so. Hope, you can review that site too. If you were to play all day then getting rewarded back will be a nice thing. At first i will applaud your effort to add this interesting and call to read post title “This is how I waste my Precious time on the Internet”. All these FREE Online Game websites mentioned in this article are just mind-blowing and completely new for me. Although, I don’t spend my time in playing online games but yes….I play sometimes to freshion-up my mind while working late night. Most important thing in this article i have noticed that you provided the links of three most popular Games on particular website. Thanks for this useful article. I have bookmarked them. I got this post on kingged.com and become forced to read complete post. Honestly, I ain’t a game enthusiast, but I play games sometimes, especially if I’m bored and nothing to do in one whole day! I have to say that cars and puzzles are two types of games I am particular with. Both of them are entertaining and good for the brain. Whenever I play puzzles, I always feel like my I.Q. is getting better. LOL! It’s obviously good for the brain and help you become smarter, right? Saw this on Kingged.com and left the same comment as well. Playing game is favourite hobby for me. thanks for sharing for few online site that we can play a game. wish you success! Miniclip is my no 1 in online games. I played on this web 7-8 years ago. Thanks Vijay Raj for the comment, I’m glad that my article helped!